Issue #93 Australia staying alive ? After Australia won the third ODI against New Zealand in the ongoing Chappell-Hadlee series, which New Zealand lead 2-1 at that time, a headline in Cricinfo website declared, “Australia staying alive with a 31 run victory”. Australia staying alive? When was the last time you read something like that? Whether intentional or not by Cricinfo, the headline was a telling statement of Australia’s current state. Once a team that bulldozed their opponents by their body language which bordered arrogance that matched their on-field performance, they were outclassed in the first two matches by their trans-Tasmanian rivals whom, of all countries, they hate to lose. Last time the two met in New Zealand, the hosts blew away the visitors 4-0. Australia do not lose to New Zealand very often, but whenever they do, the Kiwis will keep reminding the Aussies of that for a long time. As the teams head to the title clash soon, the writing is clear on the wall. Australia is no longer the team that they were. Australia has the bench strength, or so we were told. The bench strength was tested occasionally when one or two main players were rested in a dead rubber and Australia still won. Perhaps no one noticed or rather ignored the fact that even when the bench was tested, they still had one or two stalwarts playing, who could turn a match in their favour on their own. But with the likes of McGrath, Warne, Gilchrist and Hayden gone within months of each other and Symonds in disarray the bench came croppers. Australia needs to rebuild their team and it is going to be a long and winding process, the sort of which the West Indies has been going through for a decade now. For the West Indies though, the administration is in shambles most of the time, proximity to America and American sports, especially Basketball, lured many youngsters away from cricket and the board is almost broke until Allen Stanford came. Although the West Indies show signs of resurgence, it will be a while before we see someone bowls like Malcolm Marshall or Courtney Walsh or Curtly Ambros did. Fortunately for Australia, they have a better administration and some good systems in place as compared to the West Indies and the recovery should be quicker but the series loss to South Africa has made a dent in their pride and the Kiwis just exploited that. Resting of skipper Ricky Ponting for two matches and then changing that decision in 24 hours to rest him only for one match clearly showed that the Aussie establishment is under tremendous pressure, if not panicking. Australian vice captain, Michael Clarke, said that it is “unthinkable” losing the series to New Zealand but New Zealand’s Kyle Mills aptly summed up Australia’s current state when he said “A year ago I was bowling to Gilchrist and Hayden and today I’m bowling to Warner and Marsh”. Well, it shows, doesn’t it? With South Africa and India racing for he top spot, Australia for a change is playing the catch up game. The good news is that it is not a one horse race any more.. The Hawaii Premier League (HPL) was successfully launched as Hawaii’s first Twenty20 competition in October last year. The league is scheduled to hold tournaments twice a year each November and May. The first three teams were comprised of all-star cricket players from Oahu and Maui. The tournament has plans to expand to include mainland cricket teams in 2009 before expanding further to include international teams from Asia and Oceania. The plan is to expand the Hawaii Premier League into an international competition, in a tournament structure beginning in May 2010. With South Africa bridging the gap with Australia and India breathing down the neck of both the sides, Test cricket is in the pink of its health, believes ICC President David Morgan. “The result of the series in Australia has set things up beautifully for the return encounter in South Africa starting in late February, with the winners topping the Reliance Mobile Test Championship table,” Morgan said.”And with India hard on the heels of those two sides we have entered an era of exciting competition at the elite level, something that has to be a great thing for our great sport,” gushed the ICC chief. Australian cricket columnist Peter Roebuck said that Kevin Pietersen let England down as he failed to act responsibly but coach Peter Moores was no better and lacked the spark to excel. “Kevin Pietersen has let down his adopted country. Given the honour of captaining the England cricket team, he failed to act responsibly. Instead, he tried to impose himself, using his power as a match-winning batsman and appointed leader to remove a lacklustre coach and install his own staff,” Roebuck said. Pakistani pacer Mohammad Asif narrowly escaped a two-year jail term in Dubai after Pakistan Board pleaded with the ruling family there to spare him in last year’s drug possession case but the pacer is still saddled with an astronomical bill of 6.3 million rupees. In a live poll conducted on TV during the second Test between Australia and South Africa, more than 70 per cent said ‘yes’ to the question “Should Warne run for prime minister?”, with the current Australian Prime Minister Kevin Rudd in the commentary box, along with Shane Warne himself. “Mate, it’s all in the wrist action,” said Rudd when Warne said he didn’t know how to do it. Former opener Adam Gilchrist has urged Australia’s newest batting sensation David Warner to stay calm and remain unfazed by the burden of expectations to retain the explosive form he showed on debut. Gilchrist said Warner should not think about his first knock when he steps on the field next time. Indian Off-spinner Harbhajan Singh credited the Indian cricket team’s meteoric rise in stature to Mahendra Singh Dhoni’s positive captaincy and coach Gary Kirsten’s calming influence on the dressing room. “You can see the results of the positive attitude of our captain. The Indian team won almost all tournaments last year under Dhoni’s captaincy,” Harbhajan said. Bollywood super star Aamir Khan, who produced a superhit Hindi movie, Lagaan, based on cricket as a central theme several years will soon start working another cricket-based film as soon as he finishes his current assignment “3 Idiots”. The movie, titled ‘Ferrari Ki Sawaari’, has cricket as the central subject. The movies is about a young boy who gets attracted to a cricketer’s Ferrari car coincidentally, Sachin Tendulkar owns a Ferrari) and dreams of playing cricket in reality. Khan is a very selective actor and Perfectionist and normally acts and/or produces one movie in a year. A musical about Shane Warne named “Shane Warne — The Musical”, scripted by an Australian comedian Eddie Perfect has been a smash hit since it opened in Warne’s hometown of Melbourne last month, drawing in a blokey audience of sports lovers who Perfect says would not normally be seen dead at a musical. Chants of “Warney, Warney” regularly erupt in the normally sedate Athenaeum Theatre as the crowd watch musical numbers such as “What an SMS I’m In” documenting the ups and downs of the legendary spinner’s career. “We’re getting guys dragging their girlfriends to the theatre, which is the opposite of how it usually works,” Perfect said. Warne himself initially lashed out at the unauthorised musical, fearful about how his ex-wife Simone and mother Brigitte would be portrayed. But he gave it his stamp of approval after seeing it in December, admitting that he squirmed uncomfortably as some of his past controversies were re-enacted on the stage. Retired Australian cricketer Matthew Hayden is exploring ways to work for the Aboriginal cricket programme and he has discussed it with none other than Australian Prime Minister Kevin Rudd. “I want to be part of what I think can happen soon, and that is for the first indigenous Australian to wear the baggy green,” Hayden said. Former England cricketer Mark Butcher tipped Stuart Broad to make the breakthrough and establish himself as a senior England cricketer in time for the Ashes provided he seizes his chance during the tour of the West Indies. Butcher said the 22-year-old Nottinghamshire fast bowler could become a force to be reckoned with in the international game if he lives up to his potential with the bat. The ICC EAP office has nominated Japan’s Neil Harrison and Anton McCloy to 2009 EAP Umpires’ Panel following a review of the EAP Umpires Panel (UP) and Supplementary Umpires Panel (SUP) while Chris Thurgate of Japan was nominated to the 2009 Supplementary Umpires Panel. 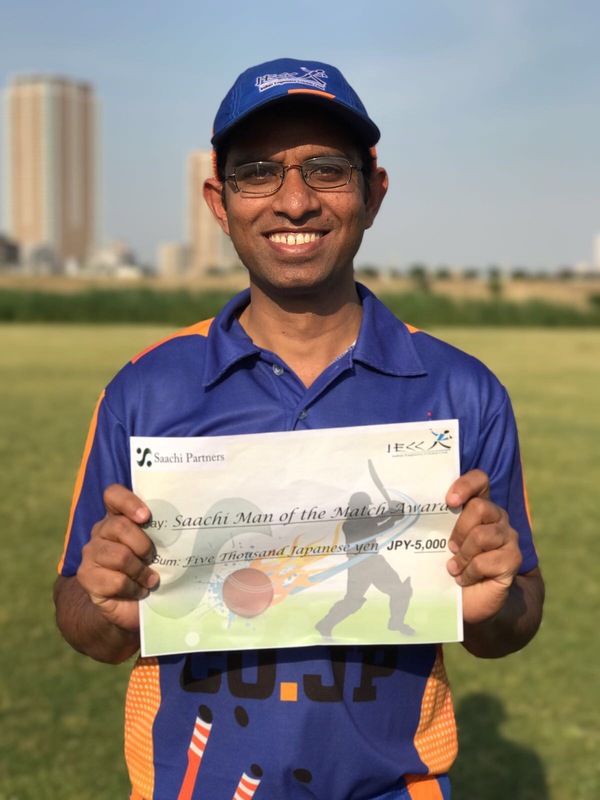 The stated objectives of the EAP UP and SUP are to Acknowledge the importance of umpiring in the cricket development process, recognise the performance of leading umpires in EAP countries and increase the standard of umpiring at EAP tournaments. You may recall that the same men were part of the same panel as they are now in 2008 too. 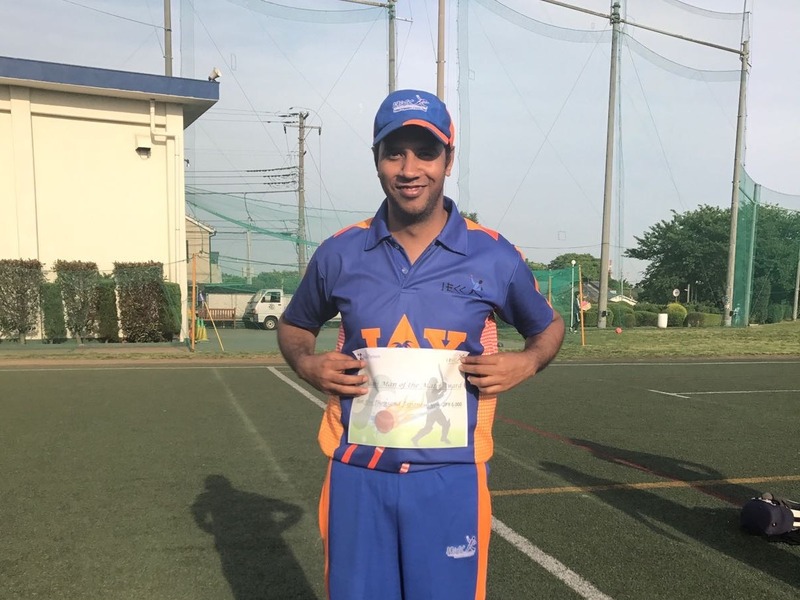 ICC EAP provides a suite of training resources to assist EAP UP and SUP members with the delivery of Introduction and Level 1 Umpiring Courses..
reflection of the relative merits of teams across Japan….now they are inveterate nonsense. Any particular reason for this? Nagoya at two? Have you played them? I’m not so bothered but you should try to maintain some standards. Editor** When we cleaned up the old season data, we indeed noticed that some team’s position changed drastically such as Millennium jumped to 6th place from 19th and Adore to 8th from 20th. So we had a closer look at why it happened and found out that these teams had a better win ratio when we add the bonus points. For e.g., Nagoya had a total of 9.5 bonus points, the most of all teams, followed by Giants with 8. 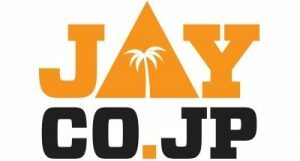 Nagoya got such a huge points when in one of their matches they beat a team which 22 places above them, so they got 5 points(22×0.25) in one match alone plus they qualified for the semi and final of Pacific Cup and got 4 points. 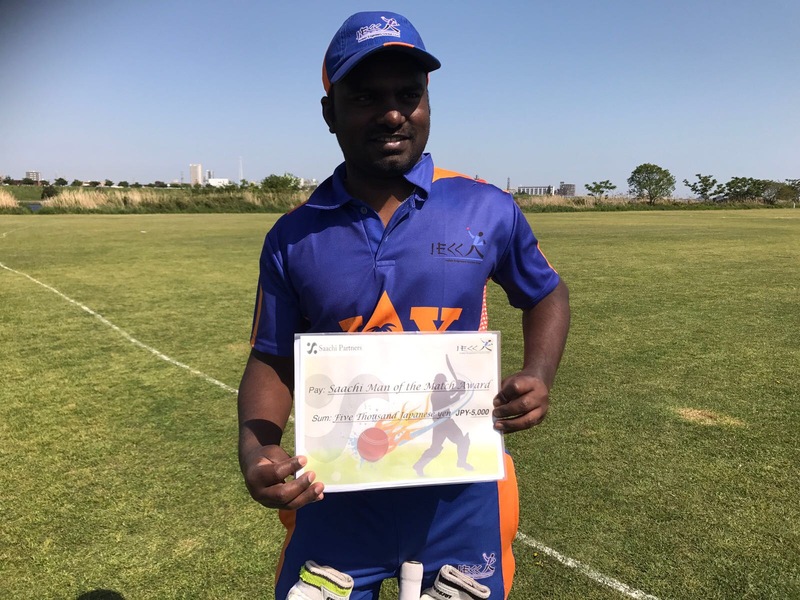 In the case of Giants and YC&AC, their chance of earning bonus points are by qualifying for the finals of tournaments so both earned 2 points each for the KCL semi final and final. This is how it works. One correction we have done this month is that any team that has not played at least 3 matches in a season will be automatically taken out of the ranking calculation and will be placed at the bottom. They will come into the reckoning when the total number of matches they played in the previous year and current year reaches 5. As a result, for e.g., Serendip, which played only 2 matches last year and was ranked 7 last month has been moved to the 20th rank. They will be reconsidered for ranking after they played their 3rd match this season. This way we believe some unevenness can be eliminated. We do not claim that this is a faultless system of ranking but we are always working hard to make it as closer to accurate as we can. Your comments are always welcome. “Show the aggro” – Former Australian pacer Glen McGrath to the current Australian players. 1. Four players served as captains of India in the 1958-59 home series against the West Indies. 2. In 1985-86 series India’s Kapil Dev was denied a glass of water by Allan Border after a shot of his killed a seagull.